The 2018 governor's race is kicking off: Former Portsmouth Mayor Steve Marchand, a Democrat, says he'll challenge Republican Gov. Chris Sununu. Marchand announced his campaign Monday through an email fundraising pitch. Marchand ran unsuccessfully for the Democratic nomination in 2016, taking second place. 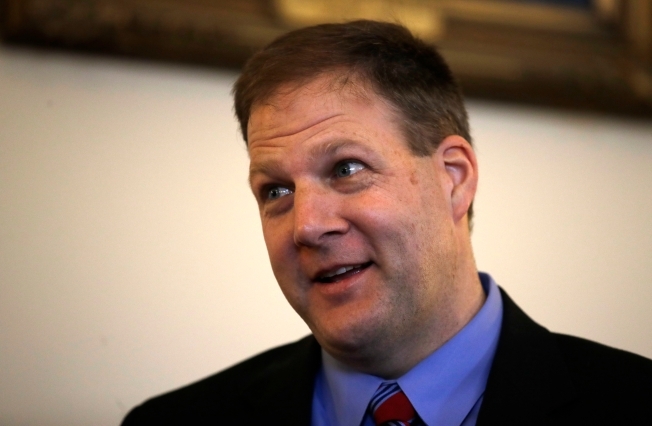 He's the first Democrat to announce a run against Sununu, who is serving his first term. Libertarian Jilletta Jarvis has also announced a run. Marchand says Sununu has spent his first few months in office prioritizing "right-wing positions." He's specifically pointing to Sununu's support for legislation targeting labor unions, his lack of a position on anti-discrimination protections for transgender individuals and his support for changes to election laws. Marchand says he'll focus on improving education, helping small businesses, fixing New Hampshire's infrastructure and fighting the opioid crisis.